Remove the wheel drive shaft from the vehicle. Refer to Front Wheel Drive Shaft Replacement. Install the drive axle shaft (1) in a soft jawed vice. Do not cut through the wheel drive shaft inboard or outboard boot during service. Cutting through the boot may damage the sealing surface of the housing and the tripot or the constant velocity joint bushing. 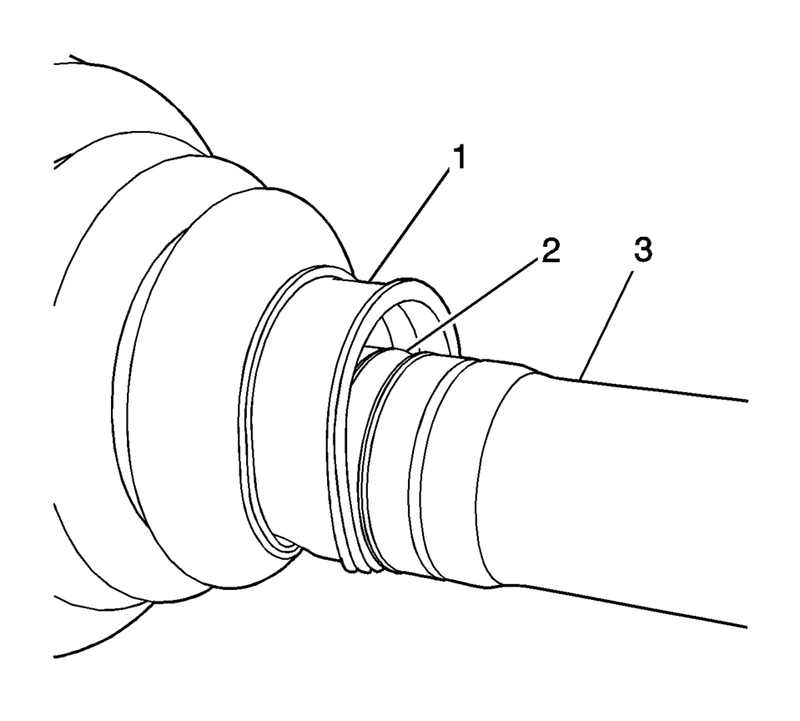 Damage to the sealing surface may lead to water and dirt intrusion and premature wear of the constant velocity joint. Using a pair of side cutters, remove the outer boot clamp (1) and the inner boot clamp (2). Discard the boot clamps (1) and (2). Use NEW clamps only. 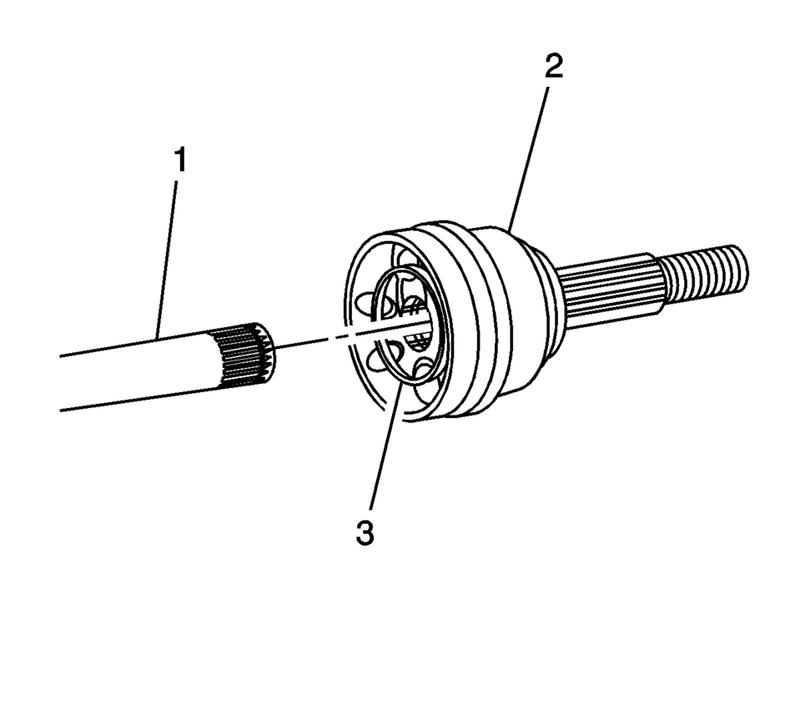 Remove the CV joint (2) from the wheel drive shaft (1) while tapping the inner race (3) using a bronze bar and a hammer. 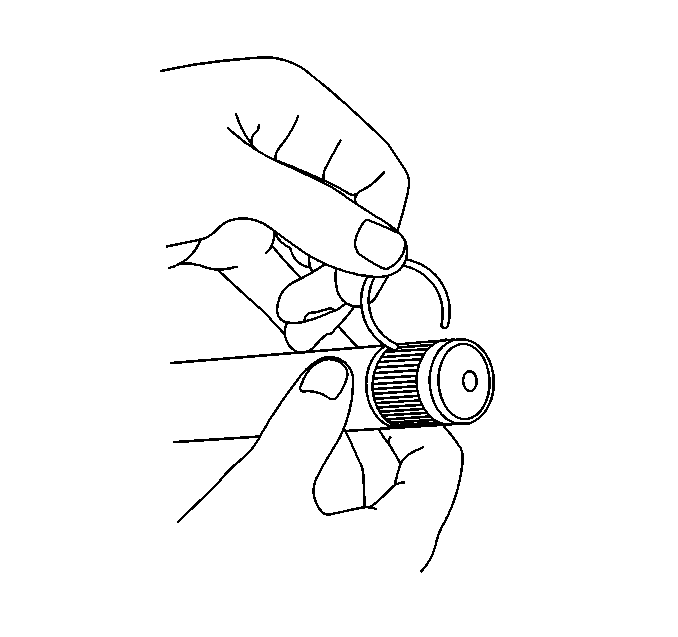 Using the appropriate tool, remove and discard the retaining clip. 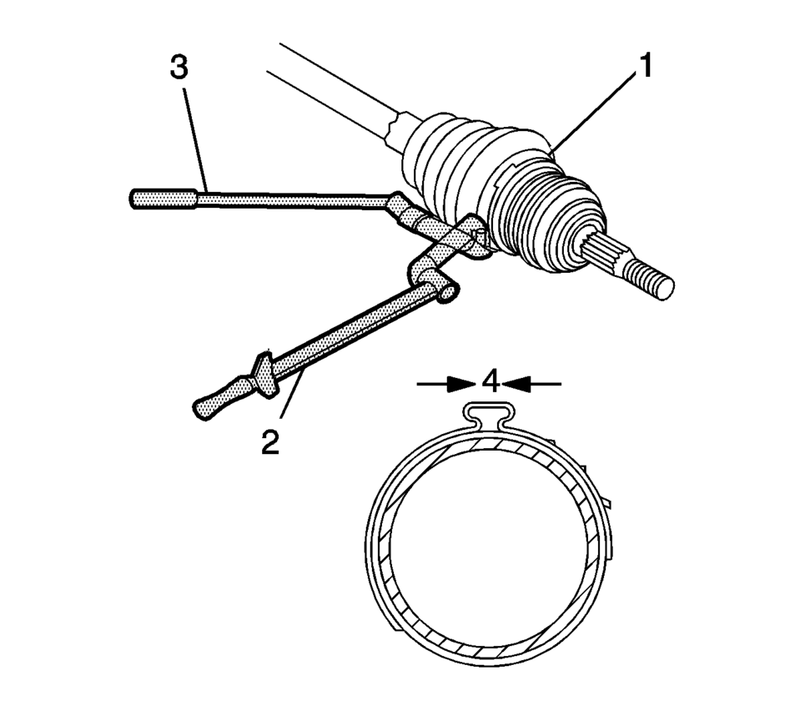 Remove the boot (1) from the wheel drive shaft (2). 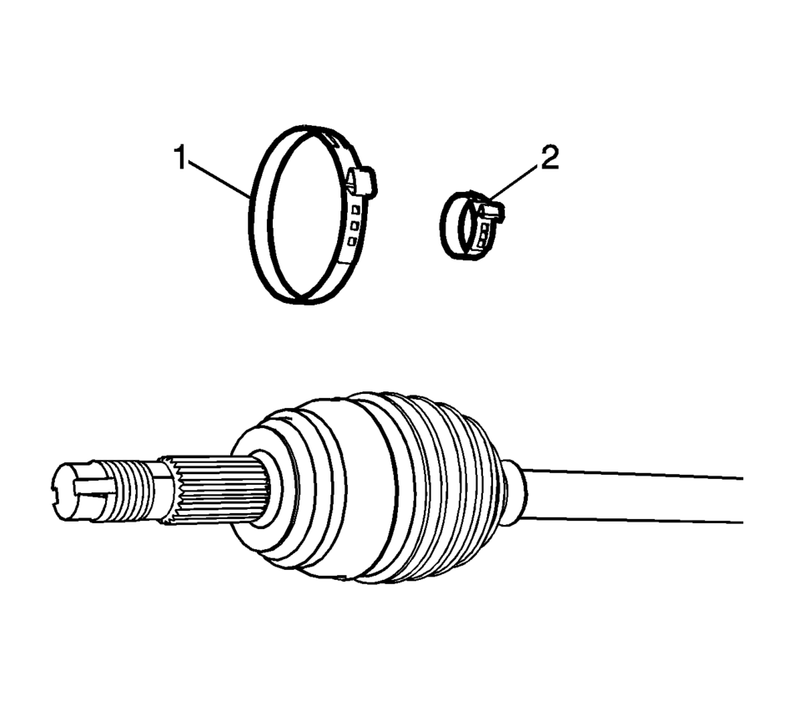 Inspect the outer CV joint for damage and wear. 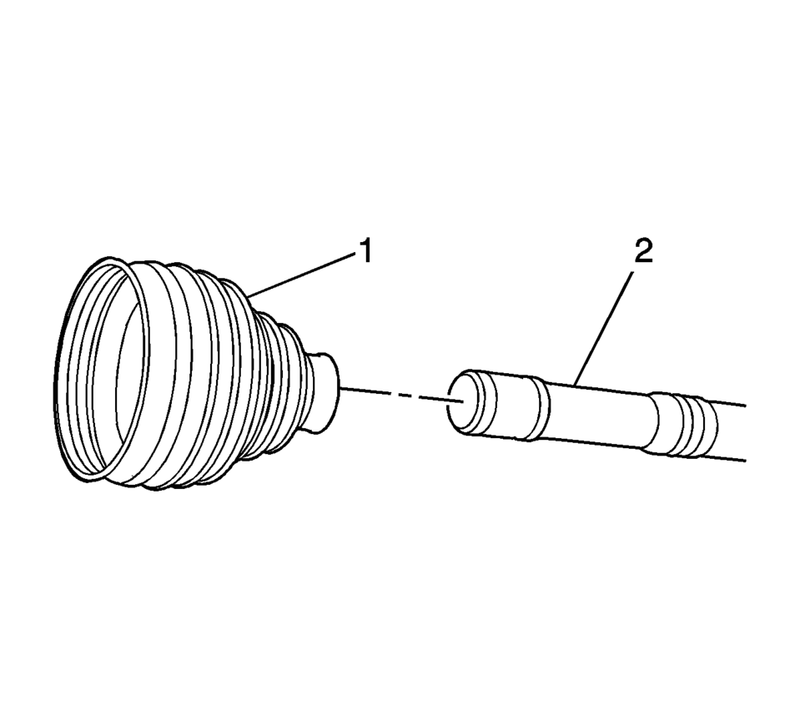 Refer to Wheel Drive Shaft Outer Joint Inspection. Position the boot (1) on the wheel drive shaft (2). Using the appropriate tool, install the NEW retaining clip. Ensure that the boot (1) is properly seated in the grooved (2) wheel drive shaft (3). 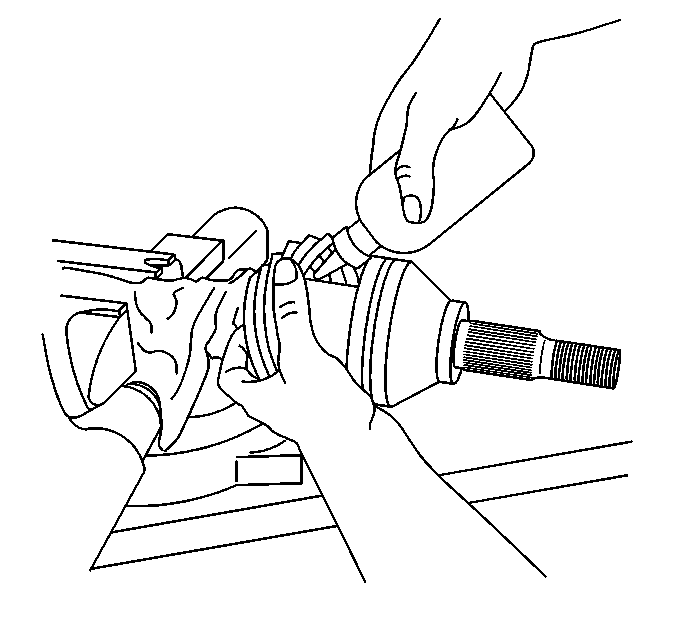 Place approximately half the lubricant from the service kit inside the outboard boot and pack the CV joint with the remaining lubricant. 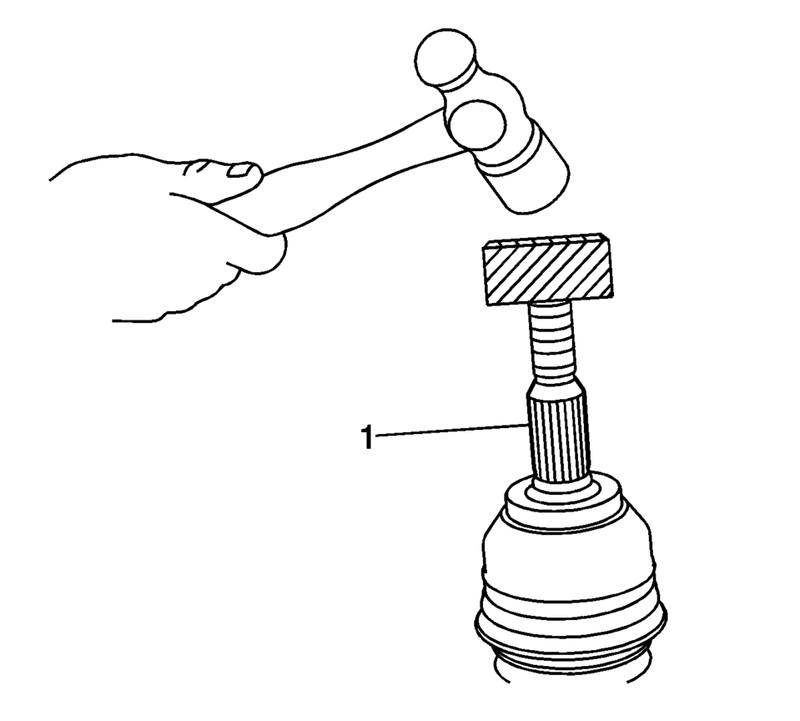 Using a block of wood and a hammer, install the CV joint (1) on the wheel drive shaft. Install the inner boot clamp (2) and the outer boot clamp (1). 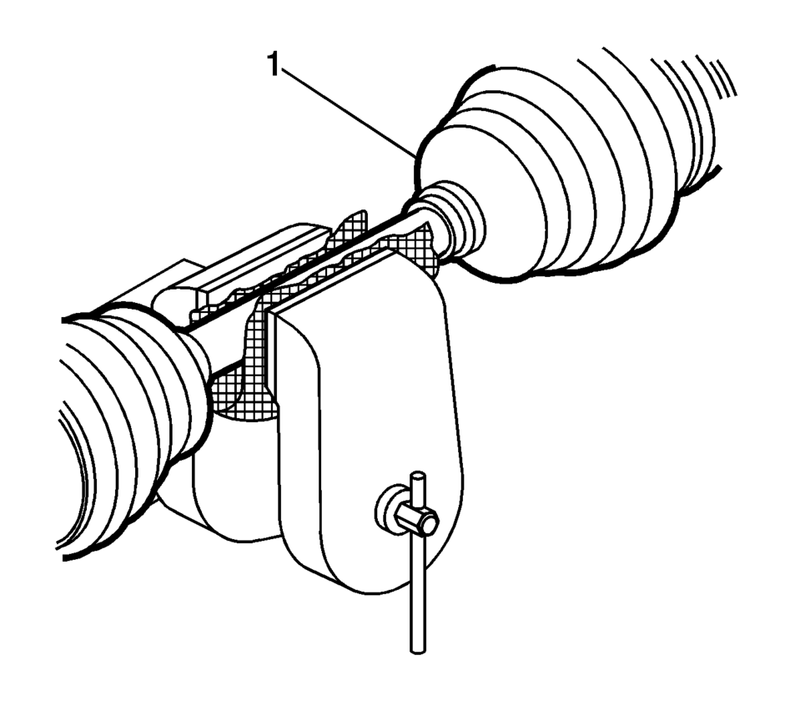 Ensure that the boot clamp is properly positioned around the entire circumference of the boot. 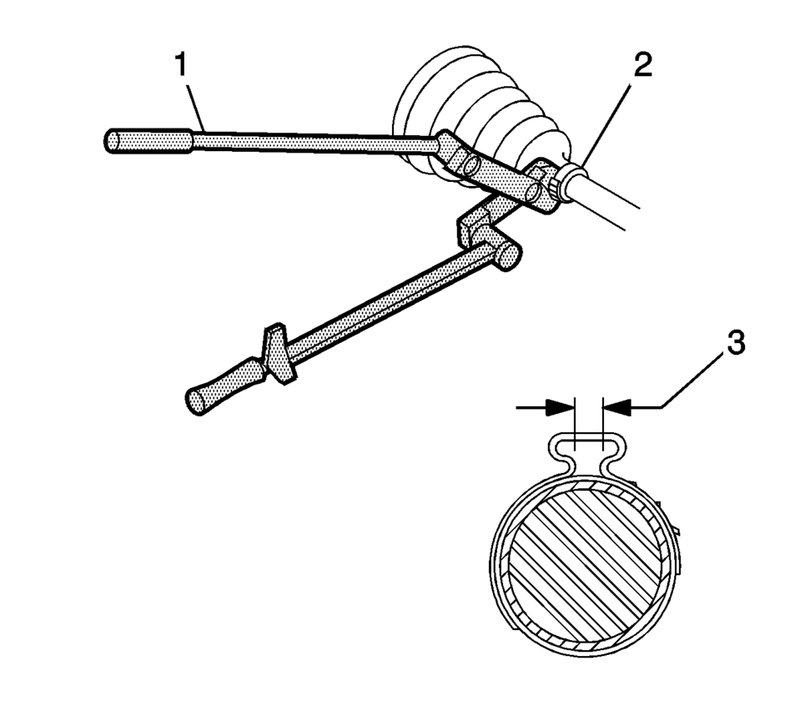 Distribute the lubricant within the outer CV joint by moving it in a circular motion at least four to five times. Remove the wheel drive shaft from the bench vise. Install the wheel drive shaft assembly. Refer to Front Wheel Drive Shaft Replacement.